The super-heroes of Fiction House Comics! 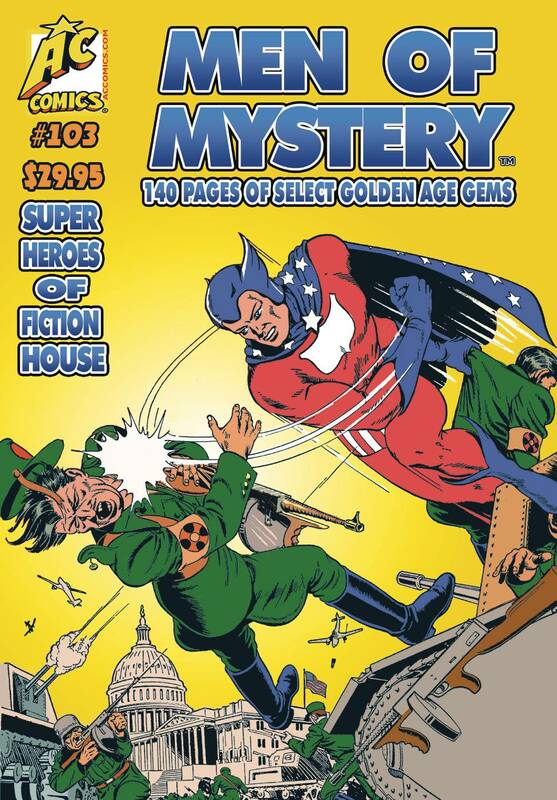 Adventures starring never-before-reprinted costumed characters Super American, Power Man, Captain Fight, and the Lightning, plus Phantom Falcon, Red Comet, Fantomah, White Panther, Rangers of Freedom, Tabu, and others. Artists include Lou Fine, Artie Saaf, Nick Cardy, John Celardo, Dan Zolnerowich, and more greats!